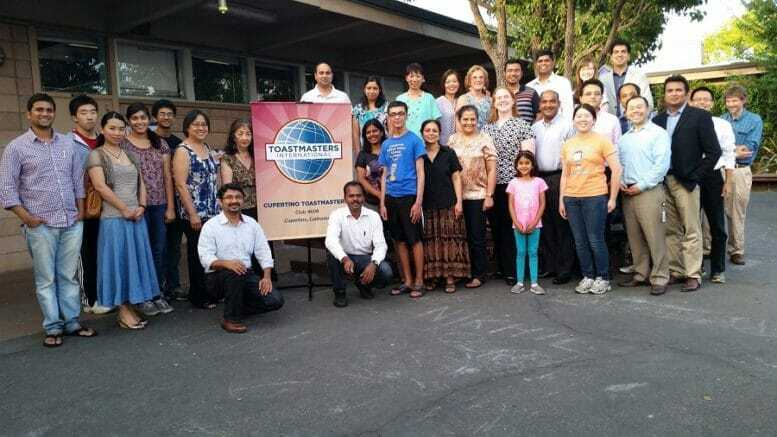 Photo courtesy of Cupertino Toastmasters. The Cupertino Toastmasters are hosting an Open House on Jan. 31 from 7:30 p.m. to 8:30 p.m. at 10181 Finch Ave. The Cupertino Toastmasters Club is “one of the most successful clubs in California and has been awarded the top ‘President’s Distinguished Club’ award 13 years in the row.” The Open House is an opportunity for attendees to improve their public speaking and leadership skills. Toastmasters members will be available to answer questions. Coffee and snacks will be served while attendees get to know others. The Cupertino Toastmasters’ regular meetings take place on Mondays at 6:30 p.m. in the Science Room at St. Joseph’s of Cupertino School. Be the first to comment on "Improve public speaking skills at Toastmasters’ Open House"